Propane is clean, reliable and efficient, making it the preferential choice of many home owners. From essential home heating, water heating and cooking to luxuries such as pool heaters, BBQ's, generators and fireplaces, propane has a wide variety of uses and has been gaining in popularity. Where do we Service and Deliver? We have propane delivery & service in many areas of Nova Scotia including: Halifax, Truro, Kentville, Wolfville, New Glasgow, Trenton, Pictou, Stellarton, Westville, New Minas, Bedford, Sackville, Cole Harbour, Dartmouth, Fall River, Tantallon, Windsor, Middleton, Bridgewater, Mahone Bay, Lunenburg and many more! Take a look at our Delivery & Service map to see if we are in your area. What do we service? We service it all in propane! We service all of the propane equipment we install and then some. We service and maintain gas boilers and furnaces, water heaters, ranges, dryers, fireplaces, propane heaters and more! 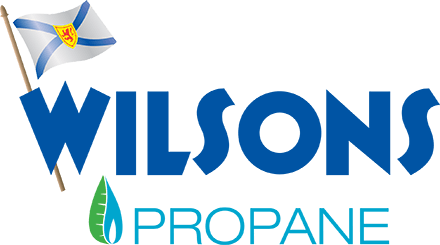 So the next time you need someone to service your propane equipment, don't forget to contact Wilsons Home Heating - we're here 24/7 for your propane needs. Affordability – Propane costs approximately 25% less, per BTU, than electricity when used for home heating. In addition, propane appliances can be vented through the side of your home, eliminating the need for chimney retrofitting or installation. 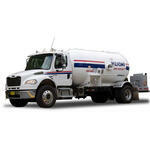 Availability - Propane is available in abundance in Canada. This country is the 6th largest producer of propane in the world, and produces 3.5% of the world supply and uses only half of that domestically; the rest of Canada's propane is exported. The infrastructure is in place to transport, store, and dispense propane safely and efficiently to Canadians. Maintenance – Being such a clean burning fuel, propane appliances require very little cleaning or upkeep – helping you save on maintenance costs. Environment – Propane is insoluble in water, so it presents minimal risk to property soil and ground water. Safe - Production, storage, transportation and use are subject to strict standards and regulations. Propane is stored and used in sealed containers and fuel systems, and is only transferred from one container to another by trained personnel. Propane tanks are 20 times more puncture-proof than conventional gasoline tanks. The Propane Training Institute, a division of the CPA, issues more than 24,000 training certificates annually. We deliver your propane automatically on a predetermined schedule based on your propane needs (for example, every 28 days). Our experienced drivers can keep your tank topped up throughout the winter with no delivery charges associated with your fill-up. The result is a warm, worry-free home. Propane leaks smell like rotten eggs. Educate your family so they recognize the smell. If you smell a leak, evacuate the premises and contact your local fire department or propane supplier. When leaving the premises do not touch any electrical outlets or light switches. Propane leak detectors are available at your local hardware store. Know the layout of your gas service lines, especially if you are doing any type of landscaping or renovations. If you suspect your gas appliance has been damaged by water or flooding, have a trained technician service your system. All furnaces should be cleaned regularly. Check with your propane retailer and owners manual for cleaning instructions. In case of sediment buildup in your propane fueled water heater, drain your tank until water runs clean. Have your range serviced if the flames are not blue. Yellow flames indicate blockage to the air inlets, or an adjustment may be need to the burner. Contact a technician for service. Do not line your range with aluminum foil; it constricts air circulation. Never use a gas range or grill to heat your home.